By instinct, we know that there has been considerable growth in the adoption of digital & mobile by Nigerian customers in relation to their retail and commercial banking services. For example, it is commonplace to see customers submit complaints and enquiries via their bank’s Facebook pages; also, most would go online to compare savings accounts from different banks. But how weighty is this adoption of digital? Are banks in Nigeria aware of its magnitude? How should it direct their digital marketing; and how does it relate to the changes happening in banking, both in Nigeria and the rest of the world? In order to answer these questions, the results of our latest round of research, focused on banking consumers were reviewed. I was interested in understanding how consumers learnt about banking products and their preferred means of interaction with commercial banks. The top three sources used by Nigerians when researching a new banking service they’d like to take on are: the bank’s official website, word of mouth, and the bank’s central customer service. 91% of respondents would go to the bank’s website, 75% would rely on the opinions of friends and family and 59% would contact the banks customer service via remote means. This shows a preference for digital or remote means when researching new services. One could assume that the opinions of friends and family serve to validate the claims the bank makes via its proprietary channels. When it comes to researching banking services online, the 18-24 age group are the most likely to do online research before taking on a banking service, more than the 25-34 age group. Indicating (as predictable) that emerging age groups are adopting digital faster than their older cohorts. There are also strong indications that the Nigerian customer expects his/her bank to provide core services in a ubiquitous manner; as 42% of respondents believe that visiting a bank’s physical branch is a complete waste of their time, and 72% stated that the number of digital touch points a bank has would affect their decision as to whether to patronise it. The 25-34 years age group are the most unwilling to visit a bank’s physical branch if they had a choice. Majority of this group also wouldn’t consider the number of physical branches when making a decision as whether to patronise. This is probably because members of this group are in full-time work, having less free time than their younger cohorts; and are simultaneously more tech-savvy than their older cohorts. The physical branches are still very much wanted even as consumers are demanding more and first-rate digital engagement from banks. 46% of respondents stated that the number of physical branches a bank has would affect their choice of being a customer, with 58% believing that the physical branches are relevant in one form or the other – the most prevalent given reasons being the empathy in speaking with another human being, and the reassurance that their bank is around. 51% of respondents also selected the physical branches as one of their top 3 sources when researching new banking services. This indicates that when it comes to digital/physical channels, customers do not intend to switch one for the other. However they seek an efficient and complementary balance between the two. 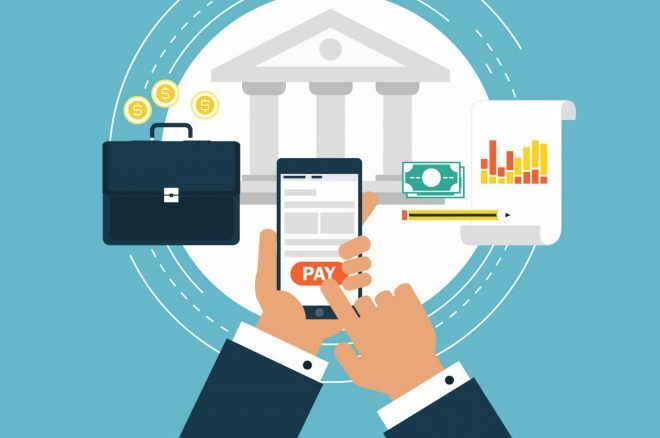 Seeing the rapid rise in adoption of digital as well as the accompanying fact that customers are seeking a balance between digital and physical, the winning banks will be those that can create a seamless transition between the two in its marketing. For example, by ensuring that all physical branches are digitally accessible, not just in terms of location information but real time updates and customer service offerings via channels that their customers are comfortable with. Other instances of factors to emphasize in their digital marketing strategies include: proper search engine optimisation of webpages to introduce their services to customers researching online, and ensuring that these pages load quickly, are user friendly & mobile responsive; employing marketing automation in meeting prospects at their various stages of the buyer journey; and the development of content marketing strategies that help prospects make sense of product offerings, keep them engaged and drive product demand. As customers are increasingly looking to their computing devices to both collect evidence and draw conclusions, banks in Nigeria need to become conscious of the competitive advantage that marketing via this medium offers.